I thought that I'd share a tutorial for a simple infinity, or circle scarf. 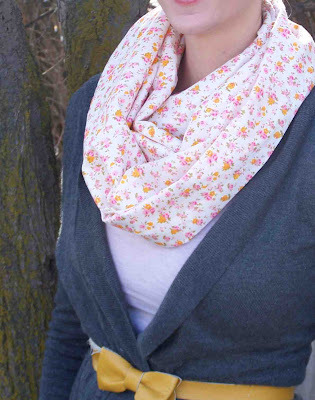 I know you've probably seen a number of different tutorials for this type of scarf, but they are really easy to make, and very versatile. 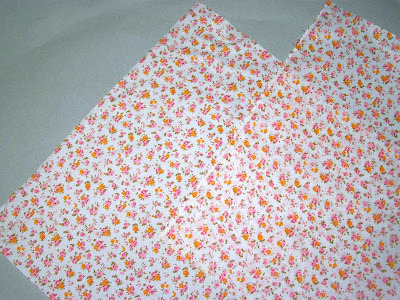 You will need one yard of light weight (apparel) fabric. This particular material doesn't have any stretch to it, and is some sort of polyester blend. 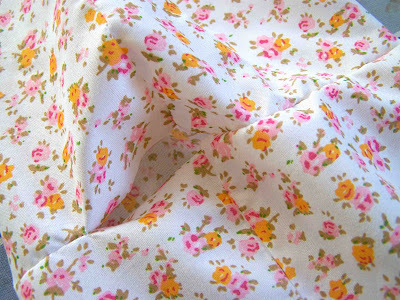 I bought it at a discount fabric store, and unfortunately they never give you much information about the material. Voile would be a great choice for this type of project. You will cut your yard of material into two eighteen inch strips. My original piece of fabric was 36"x 42", so once cut, I was left with two 18"x 42" strips. 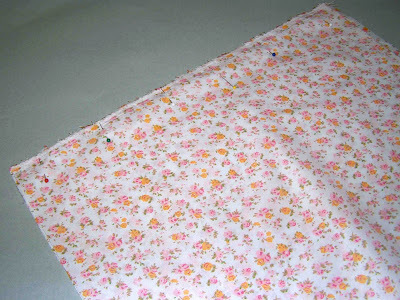 Pin the right sides of the material together on one of the eighteen inch sides. Stitch your seam by sewing just inside the selvage edge. 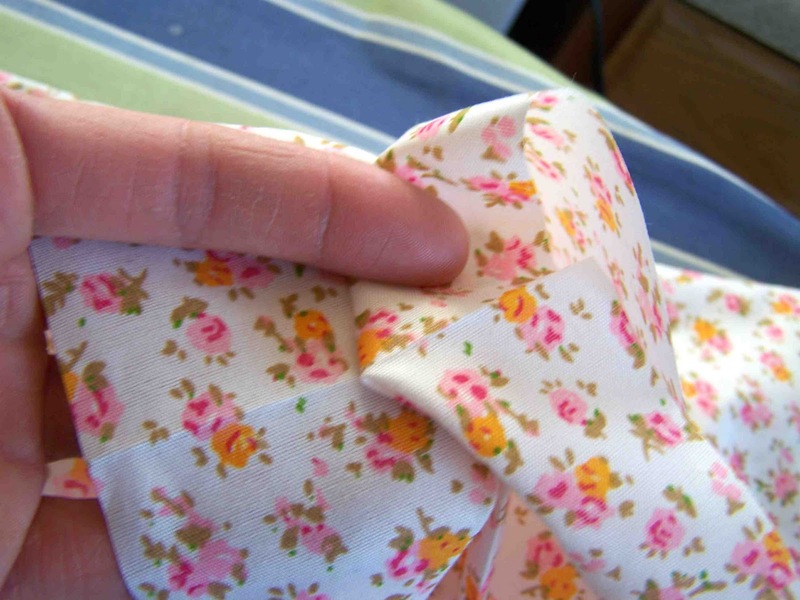 Trim your seam, and press open. You will now have one very long strip of material. 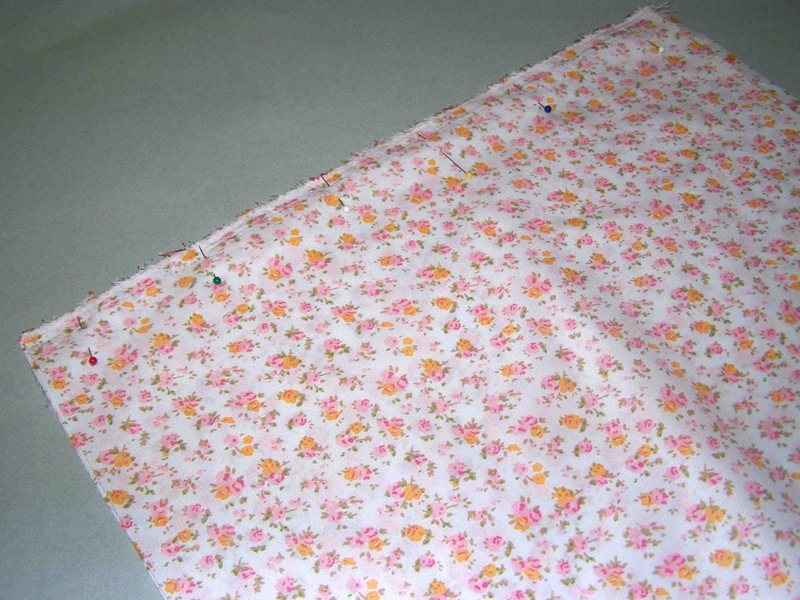 Fold your long strip of material in half (with right sides together), this will make your eighteen inch wide fabric nine inches wide. Pin along the length of material, matching up the seams. 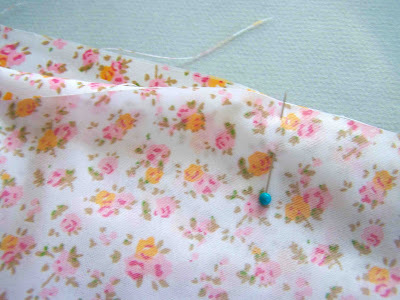 Stitch along the length of the material. You will now have a long tube of fabric. 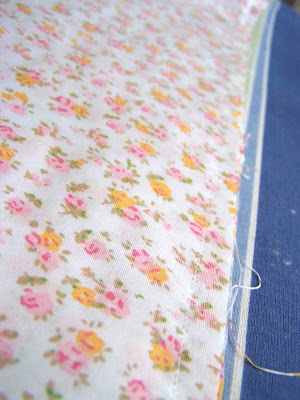 Press the material with the long seam at one edge. Press the non seam edge as well. 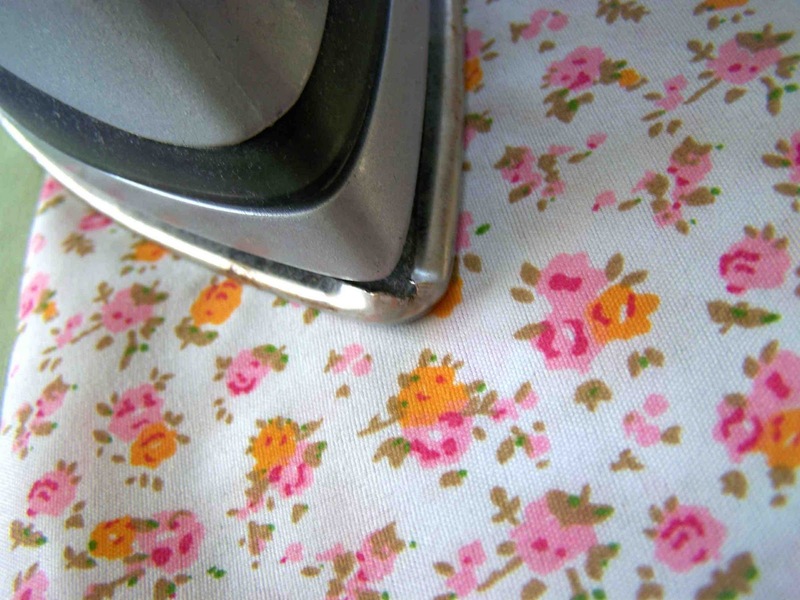 line up your pressed, non seam, edge. Pin the the right side of one end of the tube to the right side of the other end of your tube. Start pinning at the matched up press mark, and pin your fabric working in either direction of your first pin. You will probably only be able to pin about eight inches of your tube. Your unpinned edges of the tube should be on both the top and bottom of your scarf at this point. We're now going to start machine stitching the tube together. 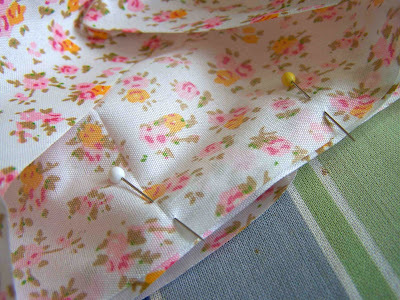 Pull both of the unpinned sections of the tube down and away from your pinned section. 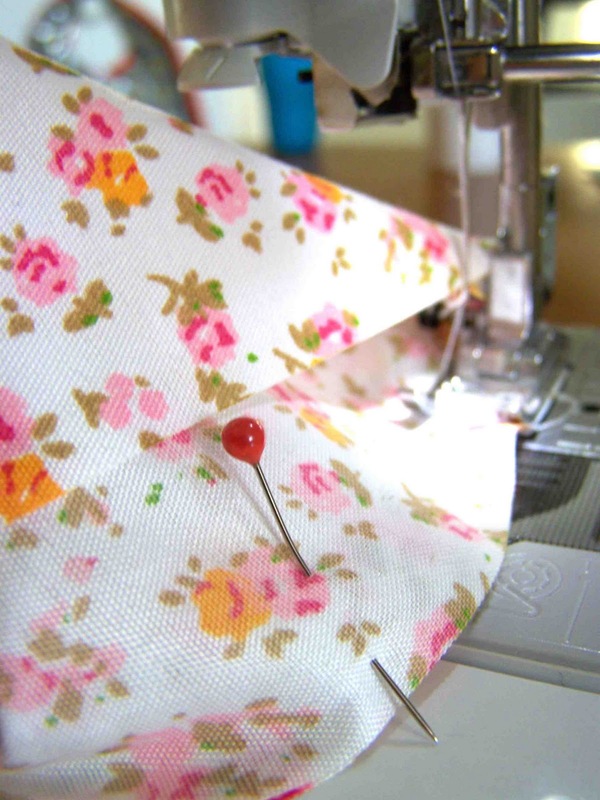 Starting about two inches away from your first pin, match up some remaining fabric, and start sewing along the pinned length of the tube. 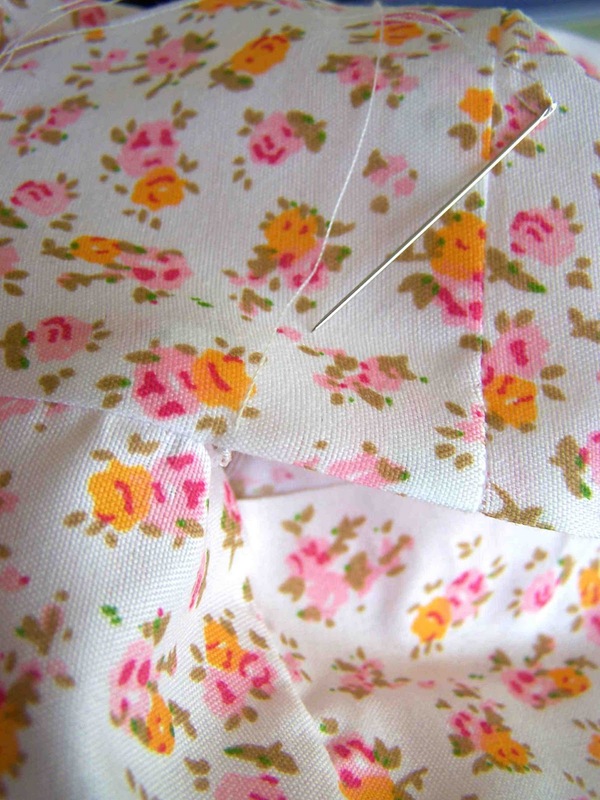 Take care to not catch the unpinned material in your seam. Continue sewing as far as you can. You should be able to sew an inch or two beyond your last pin, simply align the fabric as you go. You'll now have about a four inch opening in your tube. 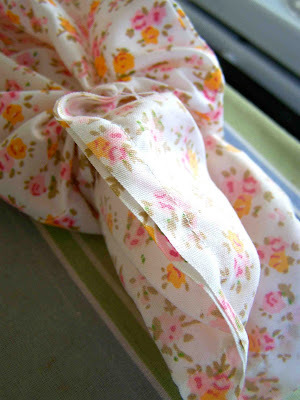 Turn the sewn section of the scarf to the inside, and flatten out the scarf. 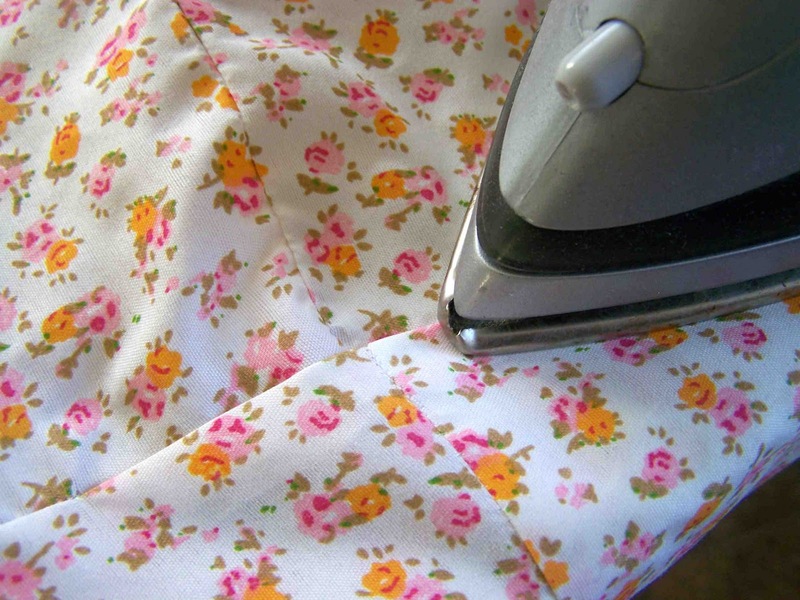 With an iron, press the un-sewn section of the scarf under. 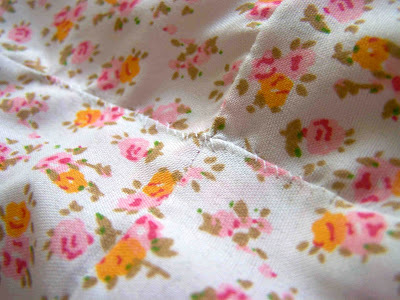 With a needle and thread stitch the small opening shut. I like to start with my knot on the inside of the scarf so that it will not be exposed. Use small stitches so that they will not be too visible. This makes quite a long scarf, but I like that it gives quite a bit of volume, and is easily wrapped three times. 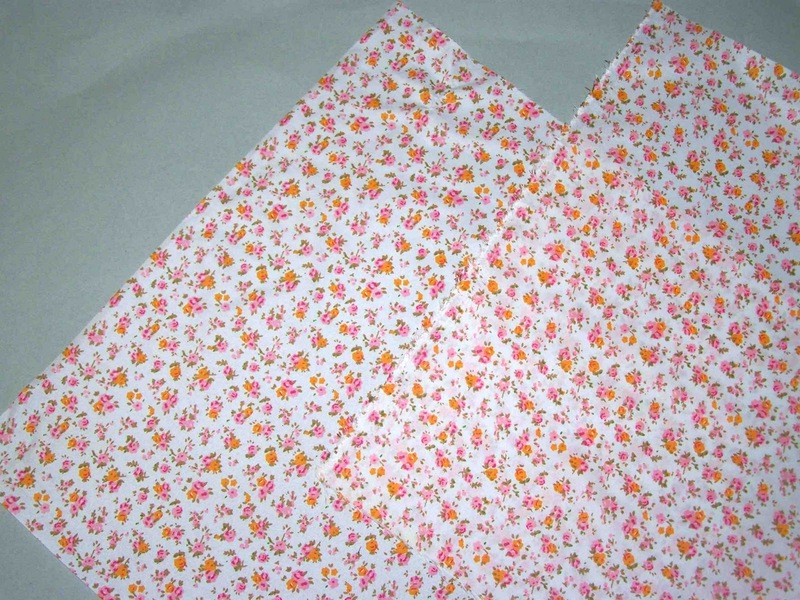 I think that this is the perfect beginning sewing project: straight cuts, straight seams, and you can sew it up in no time. 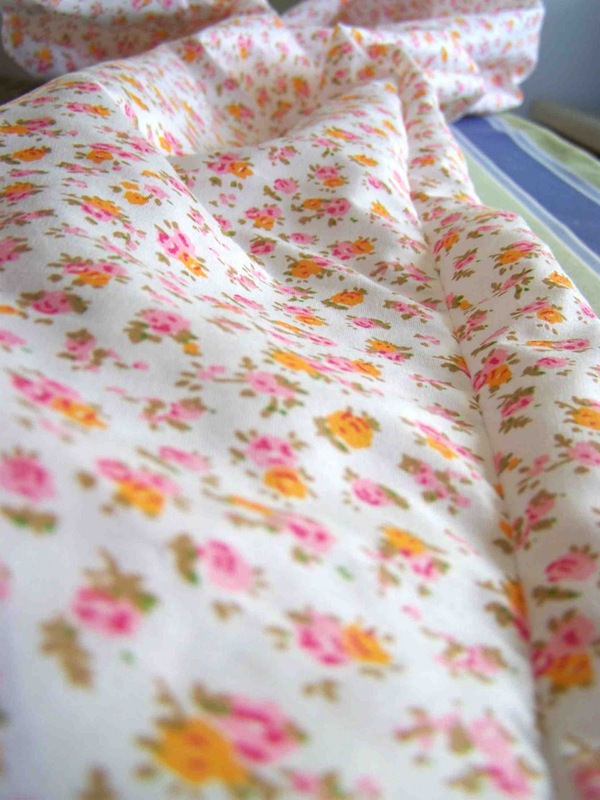 Can I just say that I love this print. It reminds me of the material on a lot of my own baby dresses. I bought an extra yard....I might just have to use it on one of those vintage sewing patterns that I have lying around. 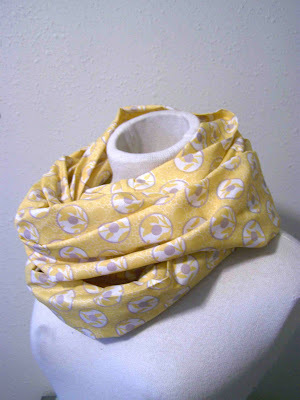 Here's another version of the scarf (don't mind the dirt marks on the mannequin...she doesn't know they're there). 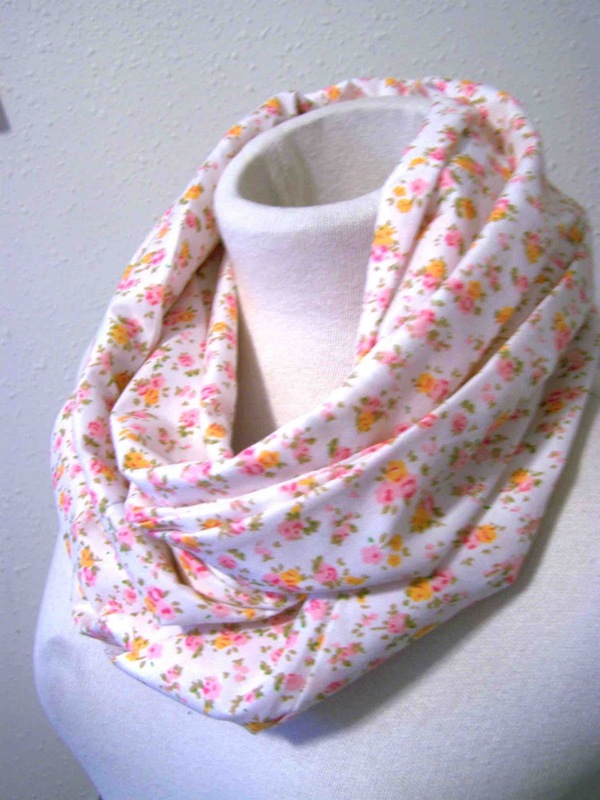 Hi, I love the way these scarves r made, would love to make a couple of these for summers,but i am a bit confused with the first step. 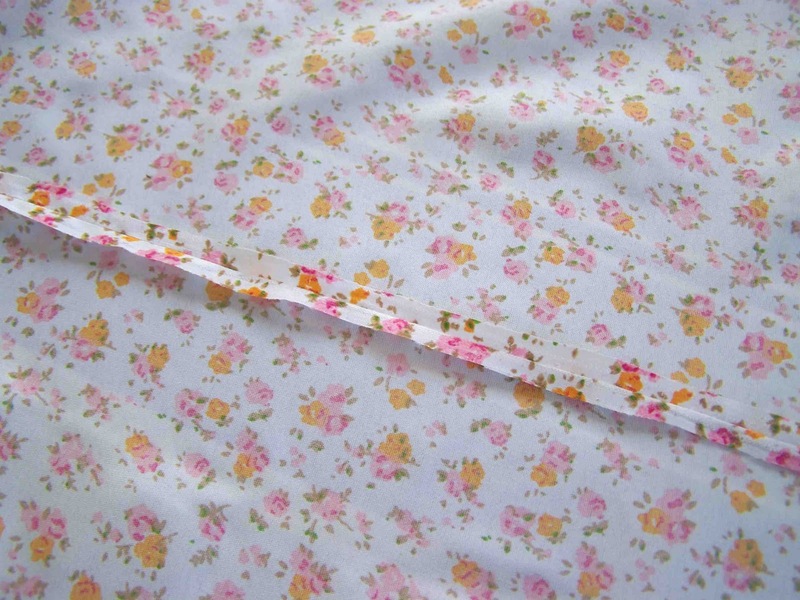 The cloth is a yard long which means around 38 inches ,so i cut the 2 pieces of 18 inches in width?? Could u pls clarify this. Thanks. Hey Tricia! I'm wearing one of your scarves right now and wanted to let you know it's beautiful! They go great with so many outfits. Tamkeen, there are 36 inches in a yard so if you cut that in half, you have 18 inches.